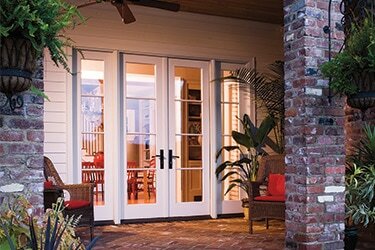 Pella® doors are not just a functional piece of hardware. They're also a thing of beauty and innovation. Each Pella® entrance door style is available in different material types and product lines to suit individual tastes from elegant to rustic. Explore the different exterior door styles available from Pella® below, and discover how you can make every entrance a grand entrance. Before picking out the stunning details of your patio door, you first need to decide which type of patio door would work best for you. Hinged (French) patio doors swing open from the sides, bifold patio doors fold neatly up, providing flexibility so you can enjoy outdoor living at its finest, sliding patio doors slide instead of swing open which gives you more floor space, and lastly, multi-slide patio doors make entertaining a breeze and add architectural interest to your home. 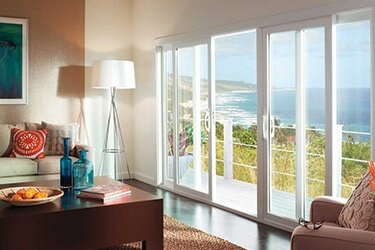 ​Having trouble deciding which patio door would be the best fit for your home? Contact us today! We'd love to answer any questions you have and help make sure that you choose the perfect patio door to fit your home and lifestyle. Pella® entry doors come in a variety of options with everything from trendy to timeless, making it easy for you to get exactly the end result that you want. You can choose between low-maintenance fiberglass and steel doors, or opt instead for an exquisitely detailed wood entry door. ​If you're having trouble choosing the perfect entry door for your home, contact us today so we can help you make every entrance a grand entrance! 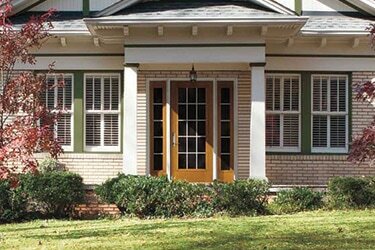 Pella®'s attractive selection of storm doors mean that you're sure to find the perfect match for your home. Storm doors allow you to maximize the natural light you invite inside. 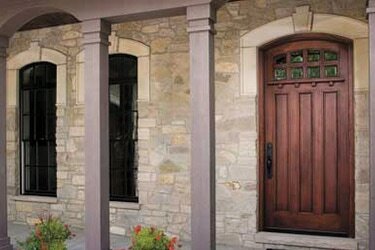 Pella®'s storm doors are built with the quality and craftsmanship that go into all of their products. ​If you're having difficulties deciding on the perfect storm door for your home, contact us today! We'll answer all your questions so you can rest assured that you pick the perfect doors to complement your home and lifestyle. View our Pella® Design Gallery to see what Pella® can do for your home. Fresh inspiration and distinctive design is only a click away.